Coral and turquoise semi precious stones necklace by London jewellery designer, Amor Fati. 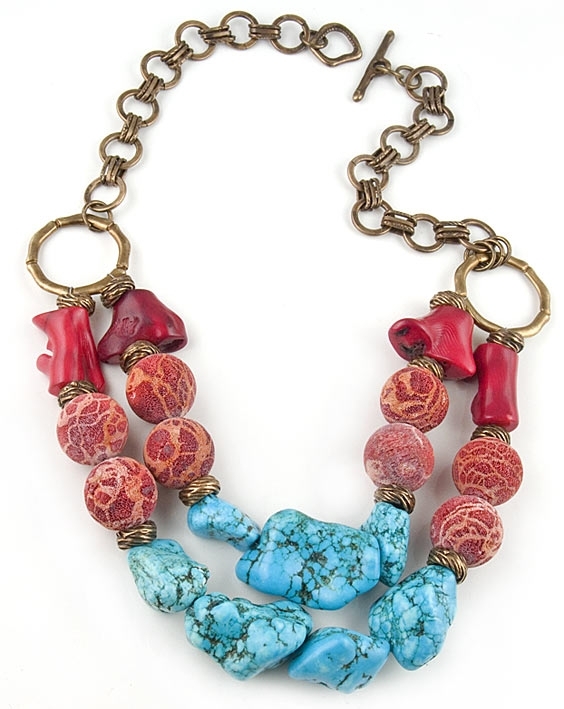 This striking designer necklace features two rows of coral and turquoise semi precious stones and brass beads, set on a stylish chunky antique gold chain. Necklace measures 57cm (22.5") in length fastening with a toggle clasp.